That afternoon, Thomas Howard, Earl of Surrey, brought 1,300 soldiers into the city and mass arrests began to take place. The first batch of 279 people were brought before the courts later that day. Edward Hall described the prisoners as "some men, some lads, some children of thirteen years... there was a great mourning of fathers and friends for their children and kinsfolk." (10) Charles Wriothesley claimed that eleven men were executed. (11) Hall thought it was thirteen but Sebastian Giustinian said it was twenty and Francesco Chieregato thought it was as high as sixty. Those executed suffered the penalty of being "hanged, drawn and quartered". The multitude of strangers was so great about London that the poor English could get any living... The foreigners... were so proud that they disdained, mocked, and oppressed the Englishmen, which was the beginning of the grudge... The Genoans, Frenchmen, and other strangers said and boasted themselves to be in such favour with the king and his council that they set naught by the rulers of the city... How miserably the common artificers lived, and scarcely could get any work to find them, their wives, and children, for there were such a number of artificers strangers that took away all the living in manner. After Easter, a certain preacher, at the instigation of a citizen of London, preached as usual in the fields, where the whole city was in the habit of assembling with the magistrates. He abused the strangers in the town, and their manners and customs, alleging that they not only deprived the English of their industry and of the profits arising therefrom, but dishonored their dwellings by taking their wives and daughters. With this exasperating language and much more besides, he so irritated the populace that they threatened to cut the strangers to pieces and sack their houses on the first of May. Diverse young men of the city assaulted the aliens as they passed by the streets, and some were stricken and some were buffeted, and some thrown into the canal... Then suddenly was a common secret rumour, and no man could tell how it began, then on May Day next the city would rebel and slay all aliens, in so much as diverse strangers fled out of the city. So great is the malignity... that what they are now unable to do for fear of death is done by their women, who evince immense hatred towards foreigners. Our most serene and most compassionate queen, with tears in her eyes and on her bended knees, obtained their pardon from His Majesty, the act of grace being performed with great ceremony. In 1517 riots broke out in London against the foreign merchants and craftsman from Flanders, France, Italy and the Baltic, whose techniques surpassed those of the English; and who monopolized the most lucrative trades. 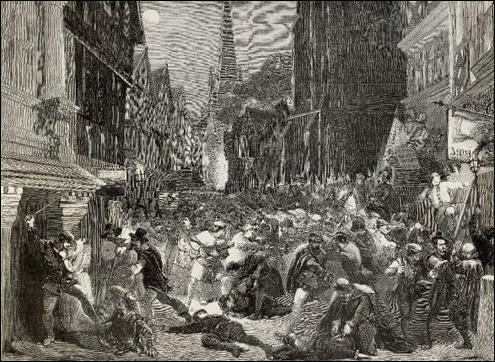 Incited by a preacher at Paul's Cross, and led by a disillusioned broker, John Lincoln, a mob of apprentices and roughs used the May Day holiday to wreck and loot the foreign quarters and overrun the city. So bad was the riot, known as "Evil May Day", that the Lieutenant of the Tower fired his guns to intimidate the mob, and the riot was only quelled when Suffolk and Surrey brought in harnessed soldiers. Lincoln and the ringleaders were hanged, drawn and quartered and their remains gibbetted; hundreds of the mob were rounded up. But the cardinal, who had fortified his house at York Place, staged a remarkable scene. Henry came up from Richmond, where he had remained through the disturbance confining himself to threats, to Westminster Hall. Here, in full state, with Queen Catherine, his two sisters, dowagers of Scotland and France, Wolsey, his Council, Lord Mayor and Aldermen and nobility ranged about him, the young king sat beneath his canopy of state. Down the long hall came a miserable procession, 400 "poor younglings and old false knaves and a plain woman, in tattered shirts, halters about their necks, all along, one after the other"; they fell on their knees before the royalties and the government, "Mercy!" they cried, "Mercy!" Then the cardinal, too, fell on his knees before the king. 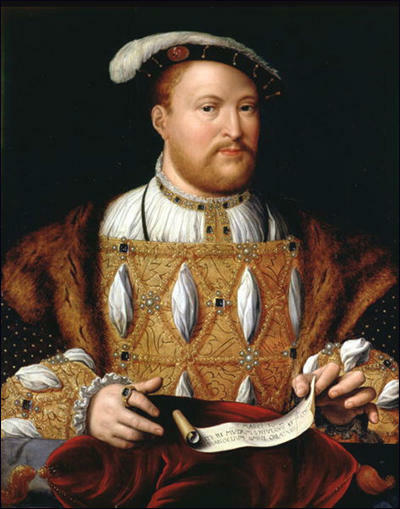 Henry remained adamant, even when the three queens added their supplications; only when Wolsey, weeping, pledged himself for the good behaviour of the prisoners, the king was seen to relent. He accorded the mob their lives: whereat the whole crew "took the halters from their necks and danced and sang". So Wolsey dealt with the symptoms, not the cause, and the king doubtless got more credit with his people than the cardinal. 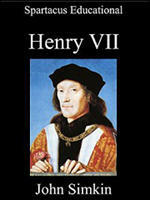 Henry must have sensed the cardinal's unpopularity, and how much those who had business with him disliked him. Petitioners and courtiers said they would rather be ordered to Rome than approach the cardinal, who, walking in the park, would "suffer no suiter to come near but commanded them as far off as a man could shoot an arrow". "If ye be not content to tarry my leisure," he would say, "depart when ye will." 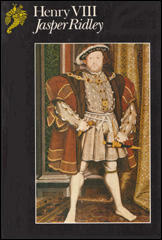 But the king approved Wolsey's personal splendour, expected in that age. "His upper vesture," writes Cavendish, his gentleman usher, in a vivid, admiring account, "was all of scarlet, or else of fine crimson taffeta, or crimson satin engrained... with a black velvet tippet of sables about his neck, holding in his hand an orange, filled with a sponge of vinegar or other confection against pestilent airs. This he most commonly held to his nose... when he was pestered by many suitors.